With only five months left for the 2019 World Cup, all participating teams have started identifying their respective potential squads for the tournament and are working to fill in any gaps they might have. While some teams are working to identify their opening combination, other sides are honing in on their key bowlers. As all sides have limited game time to finalize their squads, let us now examine how each team stands and what areas they need to sharpen for the next year's World Cup. Much will be expected of Shai Hope. Which of their freelance players (Chris Gayle, Evin Lewis, Kieron Pollard, Sunil Narine, Darren Bravo) will play at the World Cup? West Indies will be a more competitive force should they all go. 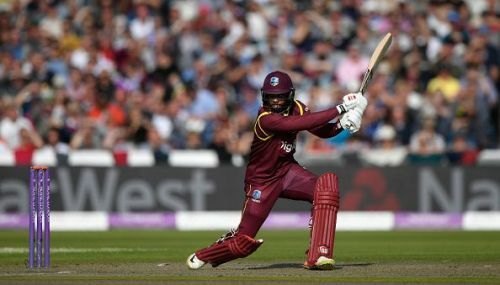 Shai Hope recently showed that he can do well as an opening batsman, but who opens the innings alongside him if neither Evin Lewis nor Chris Gayle goes to the World Cup? 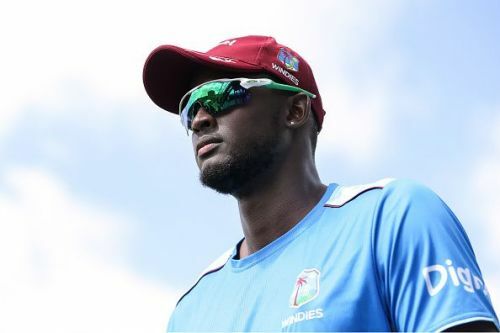 Much burden rests on Jason Holder: captain, allrounder, new ball bowler, and death bowler. He will need support from the rest of his team if West Indies are to do well. Shimron Hetmyer and Rovman Powell impressed for West Indies in ODI matches this year, as part of the middle order. Barring injury, both along with Shai Hope and Holder will make up the batting core. Marlon Samuels provides experience and off-spin bowling but is struggling for consistency at present. Similarly, Chris Gayle. Bowling options include Keemo Paul, Kemar Roach, Oshane Thomas, Devendra Bishoo, and Ashley Nurse. Roach and Thomas are genuine pace bowlers who complement Holder's controlling style of bowling. Sri Lanka will be relying on aggressive starts from Niroshan Dickwella. Chaos sums up Sri Lankan cricket at present. A recent change in batting and fielding coaches 5 months out from the World Cup, coupled with captaincy changes and a revamped selection committee is indicative of chaos and shortsightedness. The ban on Akila Dananjaya, one of the few genuine wicket taking bowlers Sri Lanka had, further adds to their woes. It is unclear who will captain Sri Lanka at the World Cup at present. Lasith Malinga was announced as captain but is not a long-term consideration. Others under consideration are Angelo Mathews, Thisara Perera, and Dinesh Chandimal, all of whom captained Sri Lanka recently (and all of whom were sacked for differing reasons). The batting will revolve around Kusal Mendis, Kusal Perera, Niroshan Dickwella, Angelo Mathews, Dinesh Chandimal, and Dhananjaya de Silva. It is unclear as to who will open the innings alongside Niroshan Dickwella. Asela Gunaratne will be a part of the World Cup squad barring injury, with his experience in finishing games. Malinga, Nuwan Pradeep, Suranga Lakmal, Dushmantha Chameera, Lakshan Sandakan, and Kasun Rajitha are bowlers under consideration. Other all-rounder options (apart from Mathews, de Silva, and Perera) include Dasun Shanaka and Danushka Gunathilaka, who can also open the innings.